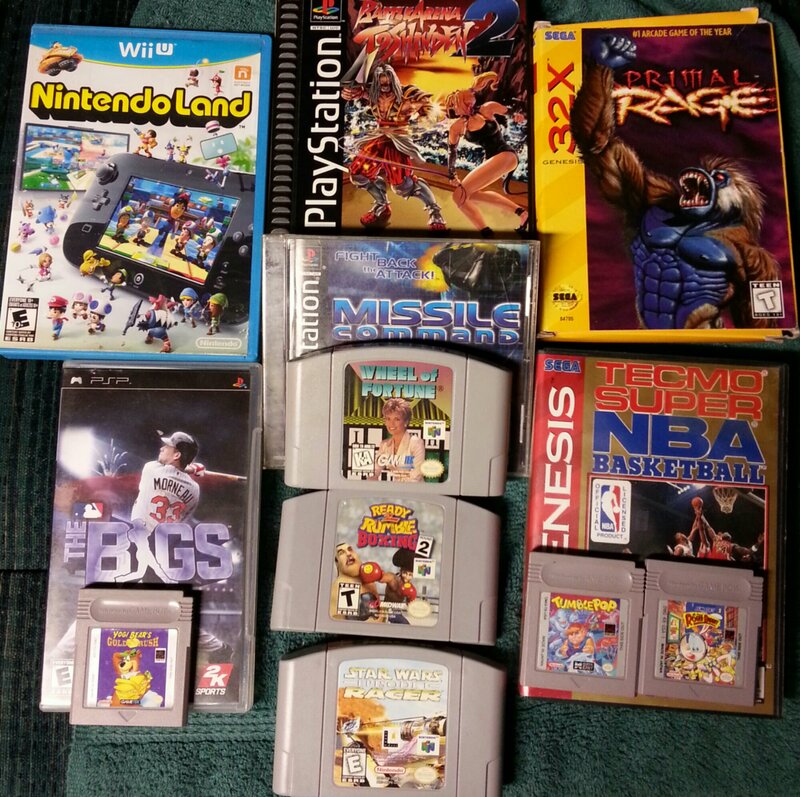 A varied lot of titles from thrift and local game stores, $35 dollars total. Primal Rage is just the box as I draw nearer to a compete boxed 32X set. A note on Tecmo NBA: While the game itself is common, not so common is the poster inside which lists all of the teams and their strengths. It’s surprisingly hard to find, and that goes double for the SNES version. It’s not valuable, merely uncommon. Basic thrift store run, with a total of $20 for everything you see here. 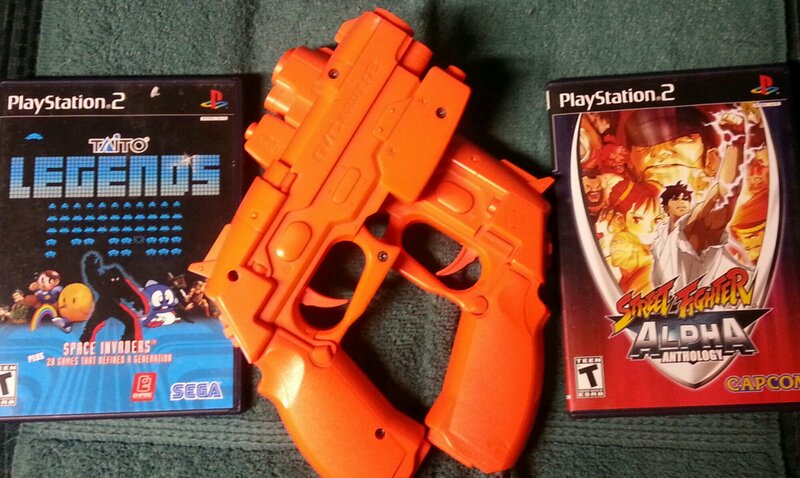 The PS2 Guncons are resale fodder to pay for both games.